Have you wondered about which remote to buy for your Canon EOS Rebel T2i / 550D / Kiss X4 digital SLR camera? In this post, we will look at the various remote control triggers and shutter release options that are available. Wired, or Cable Shutter Release. Wireless Infrared (IR) Shutter Release. Wireless Radio Frequency (RF) Shutter Release. This is the simplest form of remote control for your T2i / 550D. The remote has a cable that gets connected to the remote port on your camera, and has a button that acts as a shutter release — half-press the button to activate AF (autofocus), and full-press to take the picture. Mirror Lock-up operation is possible. No batteries are needed to operate this remote, and a lock switch is usually provided to keep the button fully depressed for BULB or long exposures. Unlike with IR (Infrared) remotes, wired units allow you to stand behind the camera, and you can put together your own solution to extend the length of the cable in order to increase the distance between the camera and yourself. Canon Remote Switch RS-60E3 — the RS60 E3 has a 2-foot cable and is a genuine accessory from Canon. Opteka Remote Control Cord — a third-party product that is half the price of the RS-60E3. There is also an XL version that comes with an extra-long, 10-foot cord. Unlike the cable shutter release units mentioned above, you would need to put the T2i / 550D into self-timer mode first before you are able to trigger the shutter release using an IR remote. Pressing the button on the remote will activate AF on the camera and then take the picture — there is no provision for a two-stage, half and full-press of the button, which is something that the cable and wireless RF remote units provide. Line of sight between remote and camera is needed, and the infrared remote has to be pointed directly at the IR sensor that’s located on the hand grip of the camera. Expected range is up to approximately 16 feet / 5 meters. You can also shoot BULB / long exposures with an IR remote. Burst shooting with the camera in continuous drive mode is not possible. Canon RC-6 Wireless Remote Controller — this remote replaces the RC-1 and RC-5 units mentioned below, and has two trigger options — immediate release, or with a 2-second delay. 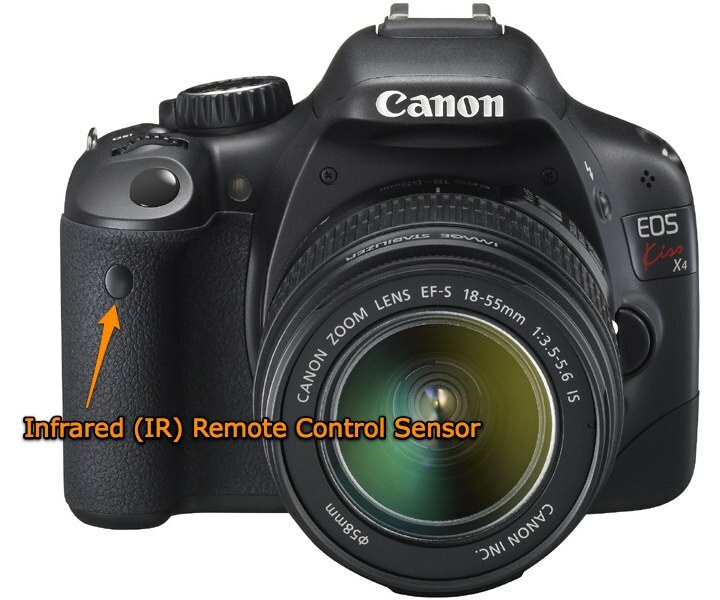 Canon Wireless IR Remote Control RC-1 — compared to the RC-5, the RC-1 has an additional feature which allows you to trip the shutter immediately. Canon Wireless Remote Controller RC-5 — the shutter is tripped after a 2-second delay that commences when you press the button on the remote. Opteka RC-4 Wireless Remote Control — a third-party IR remote that has both immediate and 2-second delay shutter release. IR remotes by Hong Kong Supplies on eBay — 6-in-1 and IR remote. For more information, read my post on wireless infrared remote triggers for the Canon XSi / 450D. It was written for the Canon XSi / 450D, but the principles remain the same for the T2i / 550D. These remotes are typically made up of two components. You plug the receiver to the remote control jack on your camera, and use the transmitter to trigger the shutter release from a distance. Communications between the transmitter and receiver is over radio frequency, hence line of sight isn’t required between the two devices. Because RF is involved, you’ll need to be aware of the local regulations covering RF usage. All shutter operations, mirror lock-up, continuous firing and BULB / long exposures are possible. Opteka Wireless Radio Remote Release. RF wireless remote control units by Hong Kong Supplies on eBay — they have the widest range of such devices, and carry the Remote Set C6, Cleon C6, Cleon II C6, Mega Cleon Wireless Remote C6 and Plato C6. Get the Plato (see it in action on YouTube) if you require a more stable RF signal and greater range, as it utilizes the 2.4 GHz frequency. 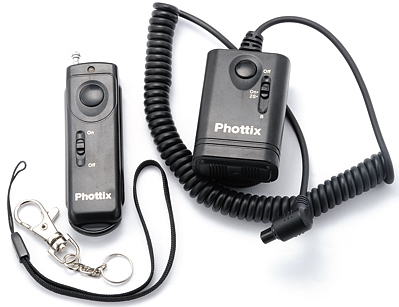 Read my reviews on the Phottix Wireless Remote Set N8, Cleon N8 and Cleon C8 to get a better idea of how RF remotes work. Buy a remote timer switch if you need intervalometer functionality for time-lapse photography, or if you need to perform a countdown before a shot is taken. Timer remotes can also be programmed to take a requisite number of photos in addition to operating as a simple cable shutter release. You can also punch in the exact duration for BULB or long exposures. Canon makes a timer remote, the TC-80N3, which is meant to be used for the mid to high-end DSLR models such as the EOS 1D Mark IV and 5D Mark II, but cannot be used on the Digital Rebel line of cameras unless you modify the plug. Hong Kong Supplies on eBay carries two types of switches, the Nikos C6 Timer Remote and TR-90 C6 (read a review on Gethin Hill). View this YouTube video to get a better understanding of how the Nikos, and timer switches in general, works. Good luck with your remote purchase decision!